People often burn sage, incense or resins in these beautiful, natural shells. The shells of abalones have a low open spiral structure, and are characterized by several open respiratory pores in a row near the shell's outer edge. 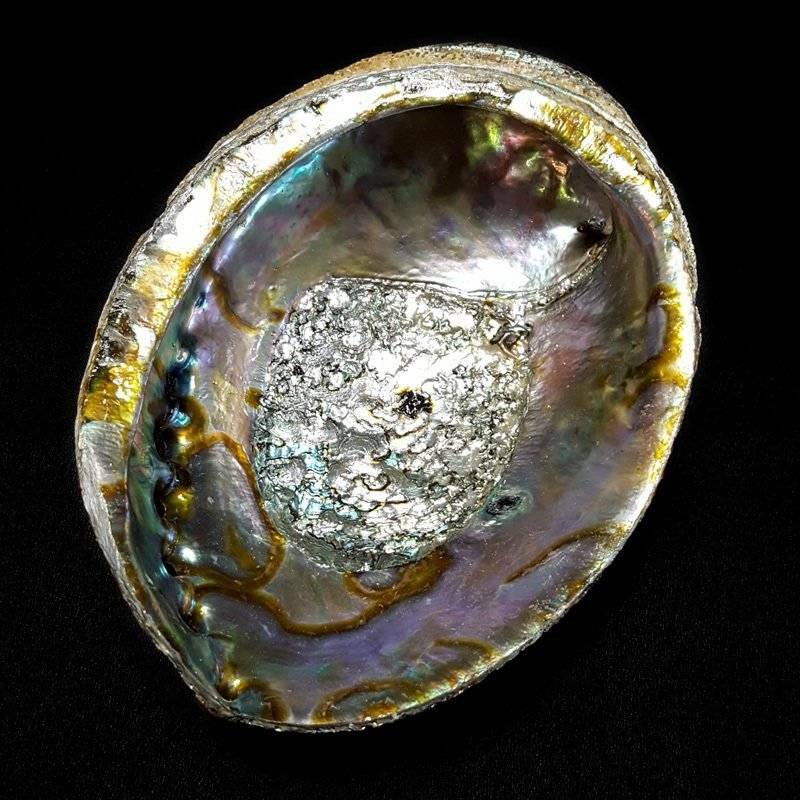 The thick inner layer of the shell is composed of nacre (mother-of-pearl), which in many species is highly iridescent, giving rise to a range of strong changeable colors, which make the shells attractive to humans as decorative objects, jewelry, and as a source of colorful mother-of-pearl.